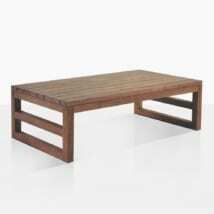 This outdoor coffee table is an excellent marriage of the entire Satai Teak Outdoor Furniture Collection. The multi-faceted piece features the long graceful curves as well as the slender crisp flats found in the chair and teak loveseat. 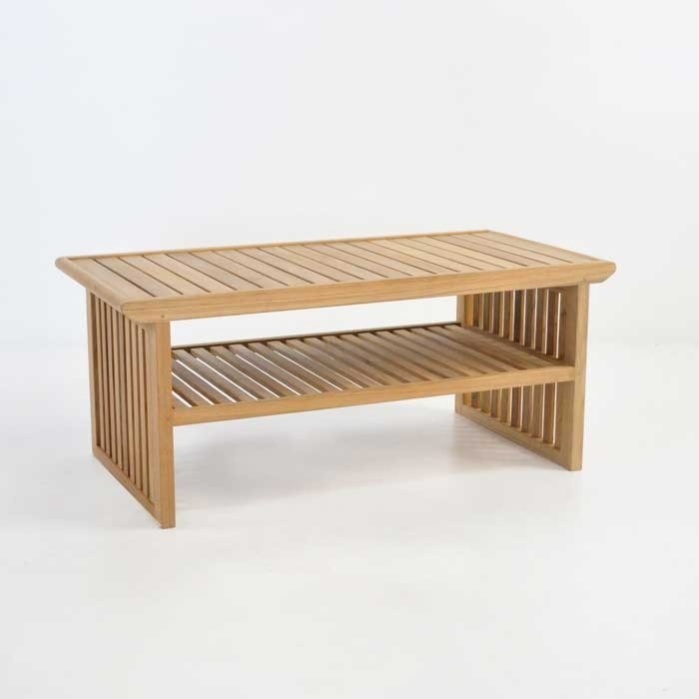 This outdoor coffee table easily captures the aura of both pieces and further highlights the wonderful collection of super sharp looking linear flat teak wood pieces. 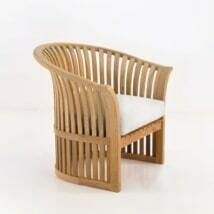 You won’t find it betraying those beautiful rounds found in the rest of the Satai Teak Collection, though. 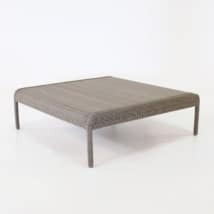 The corners are tailored to bring that same grace and smoothness that you experience with the seating pieces. The endcaps of the table feature contours that are indicative of the quality of manufacture and the attention to detail. The entire collection highlights the definite relaxation theme of the pieces without losing that important stylistic integrity. 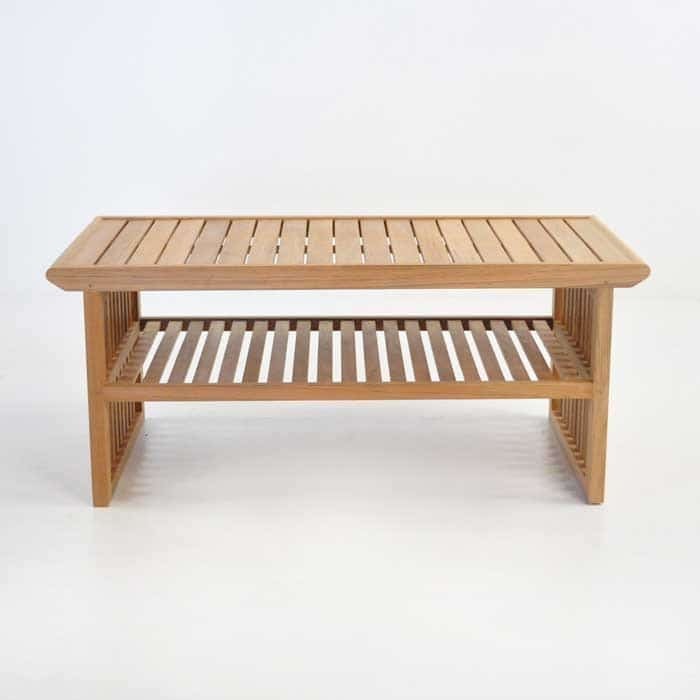 W22" x L44" x H18"
A certain understated elegance and wonderful mix of baseline attributes from the collection can be found in this versatile teak outdoor coffee table. It can go with either round or square pieces in teak, even outside of the collection. 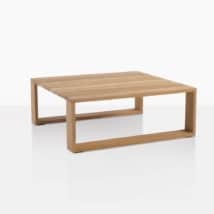 The general design features are very transitional and refined, without being overtly complex… Sure, there are sophisticated elements in this teak coffee table, but it never takes away from the fluidity and form of the piece. 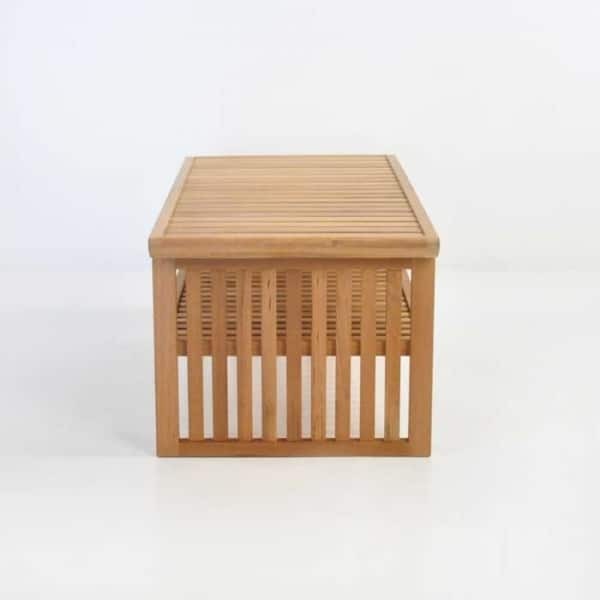 It achieves the same calming effect as the seating pieces from the Satai Teak Outdoor Furniture Collection through a skillful paring of the different design shapes. 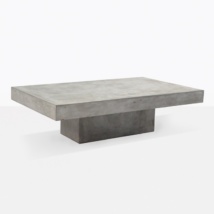 This outdoor coffee table is at once, organic, and bold. The astute combining of the different planes and aspects of this piece allow for the individual owner to interpret this teak outdoor coffee table as they need to, instead of overpowering them with a presence that is too bold to play well in a décor collection. Existing collections including eclectic pieces and bold furniture from modern, to colonial; mission style to contemporary can easily incorporate this outdoor coffee table.